Imagine being covered in duct-tape and being able to grab anything that passes. Now take that concept and add in the real components: you are the bacteria Mycoplasma genitalium, your duct-tape is a protein, and you are able to bind to any antibody. A team of scientists from The Scripps Research Institute (TSRI), as well as collaborators from other centers including the University of Texas Medical Branch-Galveston, discovered this special protein and named it “Protein M.” “What Protein M does to antibodies represents a very clever trick of evolution,” said lead researcher Richard A. Lerner, MD, a professor at TSRI. Scientists in Lerner’s laboratory were not expecting to find Protein M. Originally, they were conducting research to understand the origin of multiple myeloma, cancer of B-cells, and were investigating mycoplasma on the surface of the B cells. Upon exposing different varieties of mycoplasma to antibodies derived from multiple myeloma patients’ blood, the researchers identified that a mysterious protein (Protein M) was recognizing everything. The team was careful to ensure that the blood antibodies were not generated as a result of mass infection with M. genitalium. 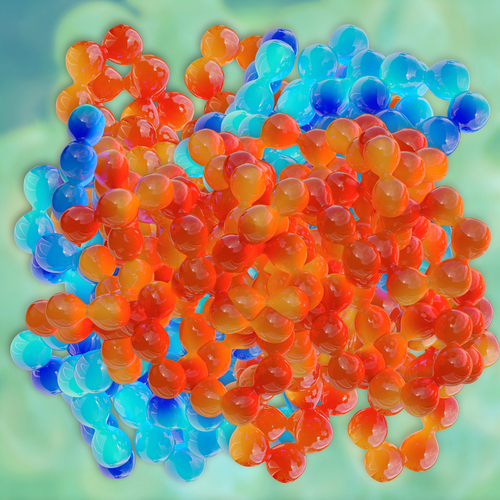 Afterwards, they used structural biology techniques including X-ray crystallography to determine the protein’s 3D atomic structure when Protein M is found in conjunction with various human antibodies. According to the Protein Data Bank, which holds information on thousands of protein structures, Protein M is unique. While these findings may be alarming, Protein M can actually be put to good use. Already, Lerner’s laboratory is looking to commercialize the protein to be used for antibody purification. Protein M could be placed in cell culture dishes to attach to cell-produced antibody drugs, then extracted, leaving behind everything else. “It may be the most useful antibody purification device ever found,” said Lerner. Alternatively, Protein M could be engineered to target cytotoxins directly to cancerous B cells but not healthy cells in order to treat certain lymphomas. At the very least, if Protein M is confirmed to be a universal decoy for antibodies, it will become a target for new drugs to treat chronic infection by M. genitalium, possibly preventing downstream problems such as inflammatory diseases and cancers. The study was published in this week’s issue of Science and was funded in part by the National Institutes of Health (RO1 AI042266, R21 AI098057, R01 AG020686, K08 AR063729, RR017573, U19 AI06360). Richard B. Pyles of the University of Texas Medical Branch, Galveston, TX co-authored the report.